Today, most e-government Web sites are limited to providing and disseminating legal or legally relevant information (hereafter legal information; see “Key Terms” section). Generally speaking, the online provision of legal information is not made in line with sound educational principles. Most likely, this could be said about the provision of all kinds of information on e-government Web sites. As I am a lawyer, I only feel entitled to assess legal information. Hence, I would like to limit my reflections in this article to legal information. 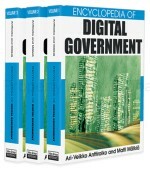 As a number of examples suggest, e-government Web sites are not conceived as legal e-learning environments (e.g., http://www.ch.ch, http://www.admin.ch, http://www.bund.de, http://bundesregierung.de, http://www.help.gv.at, http://europa.eu.int, http://www.firstgov.gov. All visited January 4, 2005). Problems (Mis)conceiving the state’s online presence is detrimental since the lack of educational design fails to ensure that users can assimilate and process the legal information which e-government Web sites provide in an effective and sustainable manner. Within the communicative framework applied here, mere provision means that so-called e-government addressees (see “Key Terms” section) are not assisted in their efforts to assimilate and process the legal information they find on e-government Web sites. Their chances of building up legal or legally relevant knowledge (hereafter legal knowledge) are compromised as a result. There is good reason to doubt that the prevalent uneducational design of legal information can arouse the interest of the envisaged target audience(s), let alone evoke positive emotions. Furthermore, it is to be doubted whether current design can do proper justice to the cognitive and emotional needs which e-government addressees undoubtedly have. Moreover, the lack of appropriate educational design would appear to call into question the mid- to long-term success of managing legal information on e-government Web sites in an uneducational fashion. Questions These problems raise several questions: How can e-government addressees assimilate and process legal information in a sustainable manner? How can e-government Web sites be designed such that their addressees can build up their legal knowledge more effectively? How should legal information on e-government Web sites be designed to arouse (and sustain) their target audience’s interest, offer it pleasure, and meet its cognitive and emotional needs? How should legal information management on such Web sites be practiced to assure mid- to long-term success? How might the e-government actors responsible for creating such sites reconceive what is now mere legal information dissemination as legal information communication? Would legal information on e-government Web sites need to be scripted in line with educational principles? Should such sites be designed as legal e-learning environments? Given the broad range of electronic learning environments, how would legal e-learning scenarios need to be designed in the context of e-government Web sites? Which specific requirements of what I have called legal (information) design (Brunschwig, 2001; see “Key Terms” section) would apply to legal e-learning environments on e-government Web sites? Relevance of Questions Resolving the previous problems would have a number of significant benefits: E-government addressees would be able to assimilate and process legal information in a sustainable manner. They would be able to build up their legal knowledge with fewer constraints. They would absorb legal information with greater interest, pleasure, and gratification, thereby inducing a learning curve. Their cognitive and emotional needs would be met more adequately. Moreover, the image of those responsible for managing online legal information would improve in the mid- to long term because they could no longer be (dis)qualified as merely disseminating legal information but would be acknowledged for their efforts to communicate it. In creating e-government Web sites along stringent educational principles, these sites would be conceived as legal e-learning environments much more effectively, aligning them with the specific context of e-government Web sites and their addressees’ needs. Hypothesis Designing e-government Web sites as legal e-learning environments would benefit all those concerned in the ways sketched previously above.